Wai Ng graduated from the Faculty of Medicine at the University of Toronto in 1990. He interned at the Wellesley Hospital in Toronto, and entered neurosurgical training at UofT in 1991. Wai was certified in neurosurgery by the RCPSC in 2000, and later by the ABNS in 2004. During his residency Wai earned a Ph.D. in Axonal Regeneration After Mammalian Spinal Cord Injury from UofT, studying under the supervision of Dr. Andres Lozano. Wai completed a fellowship in Complex Spine Surgery under Dr. Robert McBroom, in the Division of Orthopedic Surgery at St. Michael’s Hospital in Toronto. 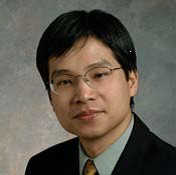 Wai has made significant contributions to education throughout his career. As the Director of the London Think First Chapter, Wai has worked to educate school children, their principals and medical students concerning head injury awareness and prevention. He has held numerous educational administrative positions at Western University, involving various levels, from the early years of medical school, to the Neurosurgery Clinical Clerkship Program, and had been Director of CME for the Department of Clinical Neurological Sciences. Wai’s teaching contributions have been recognized by several awards, including the Best Year II Undergraduate Curriculum Award for 2007-08 and 2009-10, the University Students’ Council of Western University Teaching Honour Roll Award of Excellence in 2005, 2006, 2007 and 2015.He won the Continuing Medical Education Award at Western University in 2005. Wai has been a presenter, demonstrator and facilitator at many neurosurgical CME courses in the US and Canada, primarily in the field of spine surgery. Wai has provided leadership in hospital resource utilization and in developing strategies to improve the delivery of quality care in neurosurgery. Wai and his colleagues have received a succession of grants to develop educational materials to support the injury prevention work of Think First, and to develop material in web-based instructional media. Wai and his wife Terese, who teaches mathematics and music, have a fourteen year old daughter, Anna, who plays the violin and enjoys playing basketball. The family enjoy Alpine skiing and boating together.